The Coalition for Westport (CFW) was founded in 2012 by a group of long-time Westport residents, the majority of whom were current or former members of the Planning and Zoning Commission. Our founding members—a non-partisan mixture of Democrats, Independents and Republicans— were united in their belief that the P&Z decisions were being based far too often on “preserving the past” as opposed to take into sufficient account the future needs of our town and the priorities and desires of our residents. The CFW has evolved into a formidable political party that has run its own candidates for the P&Z, has influenced the two major parties to run forward-thinking candidates, proposed new ordinances in line with the goals of the Town Plan, and taken both pro and con positions on major land use and zoning proposals. Ron Corwin, Chair, is a management consultant who was a member of the the P&Z from 2004 to 2012 and was the P&Z chair from 2005 to 2012. The zoning approvals during his tenure included increasing the number of restaurants on Main Street, relocating the Y to Mahackeno, launching the Bedford Square project, and making it possible for homes to include more than one office so that two Westport residents could work from home. Ken Bernhard, Deputy Chair is an attorney who has been active in community affairs for more than 35 years. He has been the town attorney for Wilton since 1992, and was the town attorney for Westport for the following four periods: 1981-1985, 1989-1993, and 1997. He has served, or presently serves, as a Board of Directors member of the Westport Public Library; Visiting Nurse and Hospice of Fairfield County; The Westport Chamber of Commerce; the Westport Historical Society; and the Aspetuck Land Trust. Larry Weisman, Policy Chair is a retired attorney who specialized throughout his 50-year law career in zoning and land use issues. 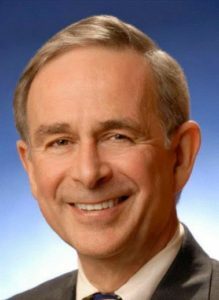 He has been involved (both pro and con) in many significant Westport projects including Gorham Island, the mixed use development in Saugatuck, and the Y. He currently works on a pro bono basis for non-profits including the Westport Library, the Aspetuck Land Trust, and the Fairfield County Hospice House. Jennifer Johnson is a real estate and land use professional who, in addition to holding a Masters in Real Estate, has worked in both the public and private sectors on local, regional and national land use matters. Since moving to Westport over a decade ago, she has served as a Commissioner on the Parks & Recreation Commission, an RTM District 9 Representative, a Transit Director and an Executive Board Member of the South Western Regional Planning Agency. 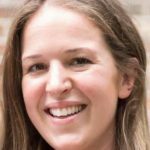 Sarah Blumberg who until the birth of her children, was a financial planning systems specialist and senior program manager at Public Partnerships, a fully owned subsidiary of Public Consulting Group. For nearly a decade she provided financial management systems and support services relating to various federally funded programs. She and her husband Mike stay current and engaged on local issues and actively support the open and thoughtful dialogue that CFW brings to important town matters. Glenn Payne, Treasurer, is a native Australian and the founder and CEO of Switch Energy, a retail energy provider. He has held leadership roles in energy companies, consultancies, and private equity partnerships. Glenn is active in several local charities, including SLOBs and Staples Tuition Grants. 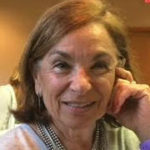 Marcia Falk is a speech therapist and real estate professional who moved to Westport 10 years ago after having lived for 20 years in Brighton, NY, where she was a member of the P&Z, and the chairman of the Assessment Review Board and a member of the Genessee Trust. Since moving to Westport she has been working in the public school with children who require speech, language and communication therapy. Denise Torve, press and public relations is a public relations and community organization specialist who has lived in Westport for 20 years. She has served in leadership and staff positions for a wide range of local and national organizations, including the Westport Historical Society, First Night Westport/Weston, Tiny Miracles, and Stand For The Troops. Julie Belaga has had a career in public policy and government since 1972 when she served as Chairman of Westport’s P & Z. She went on to become Westport’s State Representative from 1976 to 1986. She was the Republican candidate for Governor in 1986. In 1988 she was appointed Regional Administrator of EPA’s Region One with oversight over the 6 New England states. From 1994 – 1998 she was a member of the Board and then Chief Operating Officer of the Export-Import Bank of the United States. She retired in 2000 and served for 8 years on the Board of the Westport Library. She also served as co-chair of the CT League of Conservation Voters. Planning continues to be her passion.